from their chains of captivity. 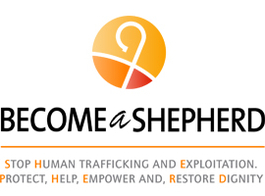 Provide comfort to survivors of slavery and let them look to you as an example of hope and faith. The WUCWO was founded in 1910 and represents 100 Catholic women’s organisations worldwide. WUCWO promotes the presence, participation and co-responsibility of Catholic women in society and the Church. 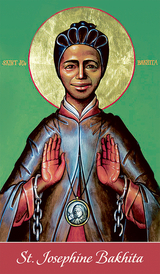 February 8 is the feast day of St. Josephine Bakhita, patroness of trafficked persons. Saint Josephine Bakhita was kidnapped as a child and sold into slavery in Sudan and Italy. Once freed, she became a nun and dedicated her life to sharing her testament of deliverance from slavery and comforting the poor and suffering. 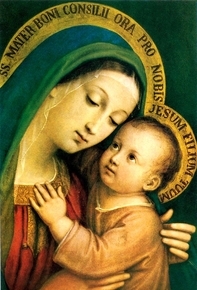 She was declared a Saint in 2000. The Parish Council of Catholic Women sincerely thanks all who donated to the Annual Water for Life Collection on August 4 and 5, 2018. The proceeds from the PCCW collection totaled $ 1600.00. 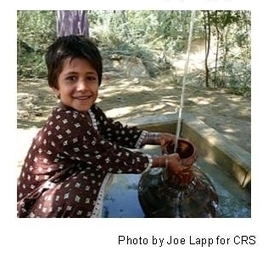 Your generosity will continue to help Catholic Relief Services Water For Life fund bring clean water to those in need each day.